The CMS is the website management software. How do I access the CMS? To access the CMS, use the gear button on the left panel. Products, news, portal, travels, accommodations, real estate, companies, Cars ads, weddings online. 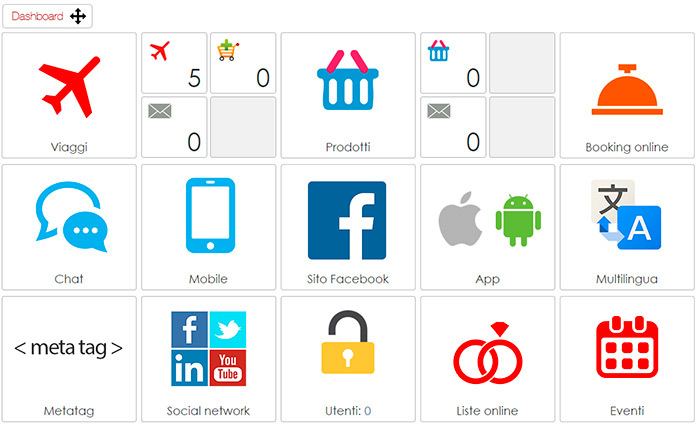 The page is composed of various icons that you can move to order and turn it on / off as you prefer. To change the order click the button on the left panel. Move the order icons by dragging them with the mouse, turn off the icons by clicking on the checkbox. Click on the button to save the dashboard. 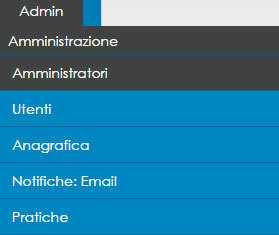 You can add several administrators to the web site, so you can allow more people to work simultaneously. Add an administrator, select permissions, enter username and password, and save.